With the SpecVet release 20180227, white board set up and maintenance is far simpler than in previous versions. 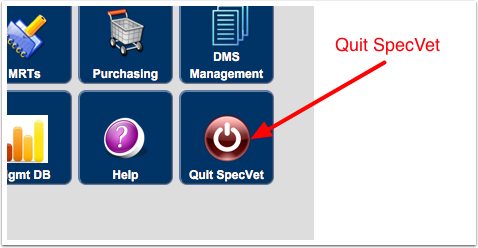 It's something that now can be handled by local Clinic Administrators without the assistance of SpecVet Technical Support. SpecVet currently has two choices for whiteboard layouts: Whiteboard 1 and Whiteboard 2. 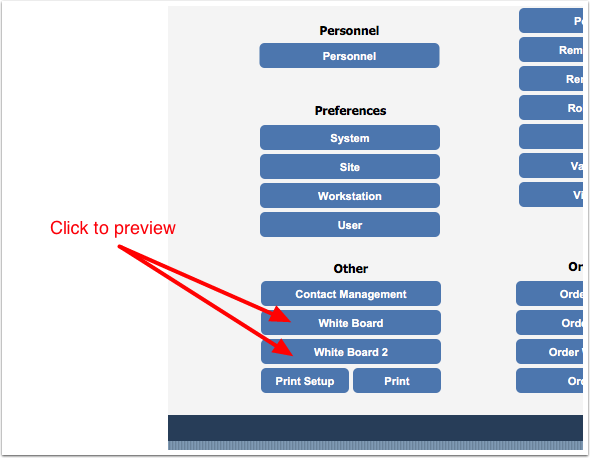 You can preview what the whiteboards look like by clicking White Board buttons on the Setup screen. 1. From the Home Screen, click Setup. 2. On the Setup screen, click Workstation preferences. 3. 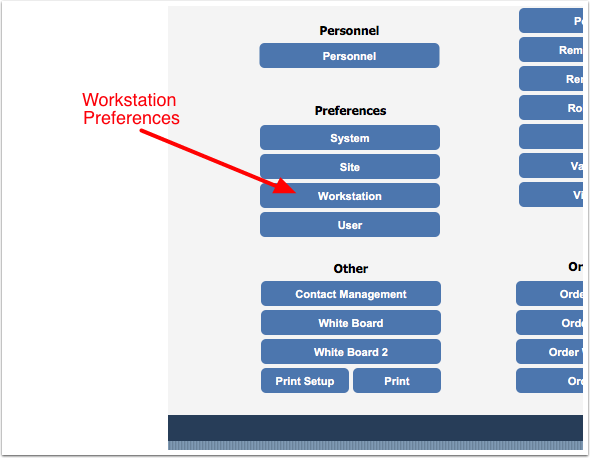 On the Workstation Preferences screen, check the Set as Whiteboard checkbox. You can choose Whiteboard01 or Whiteboard02 for layouts. Other layouts are not used at this time. 5. Exit the Workstation Preferences. Return to the Home Screen and Quit SpecVet. 1. Restart SpecVet on the whiteboard workstation after completing the Workstation Setup above. The workstation will automatically boot into Whiteboard mode and show the layout previously selected in the Workstation Preferences. 2. To set the filters, click a filter button. 3. A popup window will open similar to the Dashboard filters. Select the items you want to see. 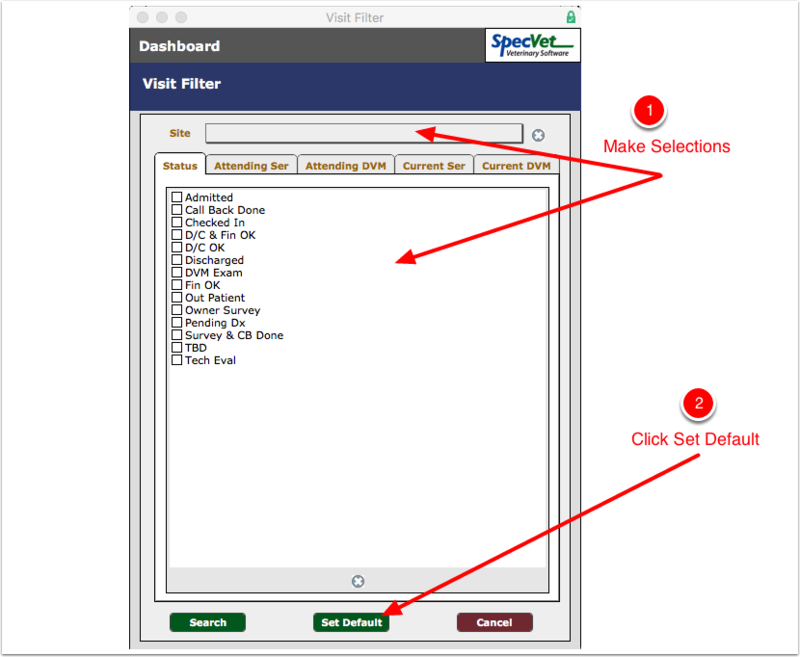 Then click Set Default. Next: How Do I Change User Privileges?